Luca has become a friend and guardian to the Count and Countess and their wines over many years. A man of huge intuition, charisma and unrelenting perfectionism, he pushes the boundaries of quality every day. He is so passionate as he talks about the the quantity of light and the mineral rich soils Conti di San Bonifacio is lucky to have! Its a near perfect environment for the Syrah and in their famous Sustinet IGT which thrives on the sea enhanced light on this Maremma coast. Luca d’Attoma tells the tale of his initiation into wine coming at the age of two and a half, when he drank a full glass of Marsala stravecchio that had been carelessly left on the kitchen table… Wine Spectator issue Nov 04 – 2003. 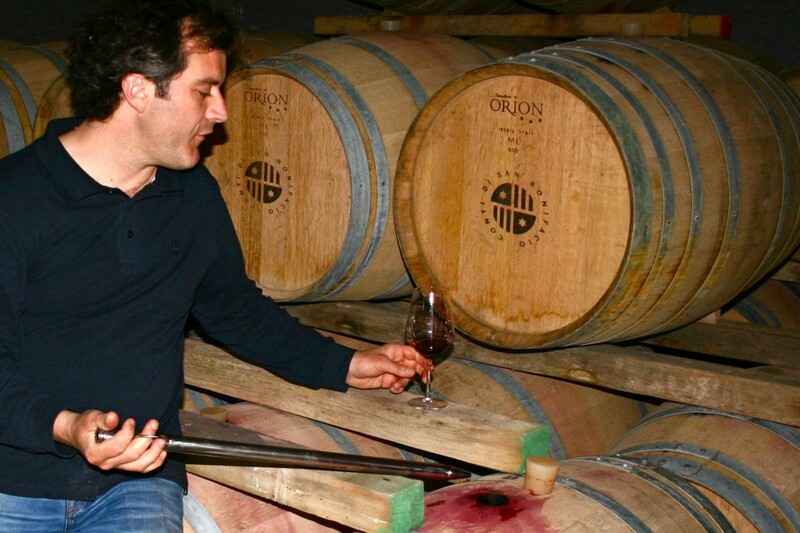 The 46-year-old Tuscan, now a consulting oenologist, has always been a bit of a hell-raiser, whether on the rugby field or in the cellars and vineyards of his clients. But he gets results and in the past decade has helped make some of Tuscany’s greatest wines, including the 1997 Tua Rita Redigaffi and the 1997 Le Macchiole Messorio, two incredible Merlots from vineyards in Tuscany’s coastal area. Of Maremman origin, Ilario has always been in close contact with the agricultural world particularly that of wine producing vineyards. For the past ten years he has been involved, in key positions, in the running of important and well known vineyards in the Maremma including La Parrina. Ilario arrived in 2009 at Conti di San Bonifacio with very clear goals in mind, to bring the best quality to each step and detail of wine making, and to make Conti di San Bonifacio wines a point of reference worldwide in representing the D.O.C. and I.G.T.wines we produce. His attention to detail is second to none and his passion for the wines is clear to see at every stage of the wine-making process. He is also hugely loved by his team, his bosses and his clients. He is the heart in the vineyard! Born into one of the oldest families in Europe, and growing up in Northern Italy, after three years as a Lieutenant in the Italian Paratroop Regiment, The Folgore, Conte Manfredo ran away to London to finish his education and start a career in Finance. After having spent some 16 years in some of the worlds finest institutions, namely JP Morgan and Moore Capital, he decided to go home and take his Wine and Hospitality business into a new dimension. Tireless and passionate, he is the beating heart of the Estate. 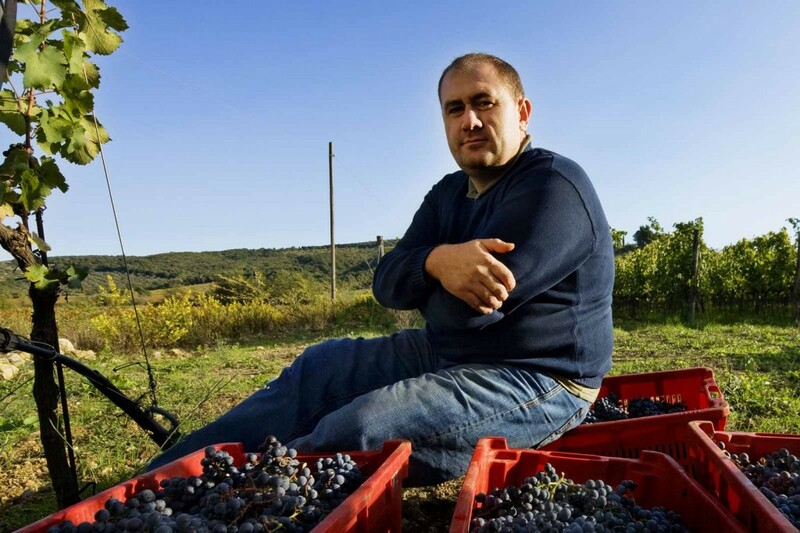 Demanding excellence of himself and the entire team around him he works 24-7 to ensure all that touch the Conti di San Bonifacio Wines and the experiences around them are assured of his family’s stamp of Nobility. Born and educated in England, The Countess worked for 20 years in the world of Investment Banking, managing international trading floors across diverse financial asset classes. However her fascination for everything Italian, including her husband, inspired her to create what is now the Conti di San Bonifacio Wine Resort and Wine Estate. She now dedicates herself full time to the Wine and Hotel business having left the fixed income markets some years ago. She is the steady hand behind both the hospitality and the agricultural parts of the Estate. Her wealth of experience running large and complex businesses and managing many hundreds of people has stood her in good stead. An inspired and caring leader she is involved in all corners of the business, taking particular responsibility for all sales, marketing and design for the Wines. Her passion for producing only the very best drives her season after season to take their Wine Collection to the next level.